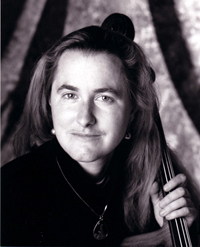 Hilary Brown began her cello studies in Halifax, Nova Scotia, and received her Bachelor of Music and Master of Music degrees from Boston University. She also studied as a Fellow at the Tanglewood Music Center in Lenox, Massachusetts. Hilary has toured Japan with the Saint John String Quartet (New Brunswick) and she has also performed in Europe and South America. Hilary is currently a cellist with Symphony Nova Scotia, a coach for the Nova Scotia Youth Orchestra, and a private cello teacher. She has performed as a soloist with Symphony Nova Scotia and is heard frequently as a chamber musician on CBC Radio. Hilary is a founding member and the cellist of the Blue Engine String Quartet. She is also a member of Trio Nova Scotia and two early music ensembles: Tempest Baroque Ensemble and La Rejouissance. Hilary has performed on many Maritime concert series such as Musique Saint-Bernard, the St. Cecilia Concert Series, the Mahone Bay Concert Series, Musique Royale, and the Indian River Festival on Prince Edward Island.